The Mason Jar from Fremont Flowers. Orange tinted jar with roses. 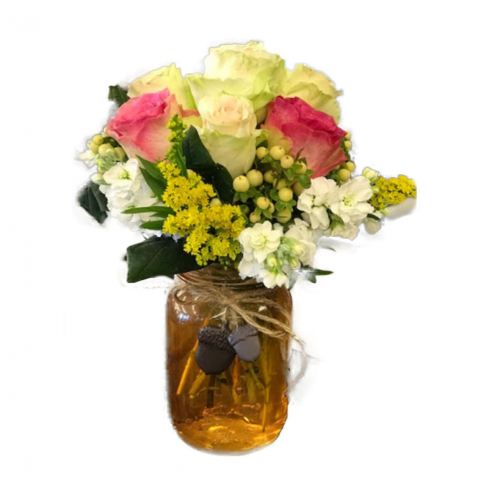 It is combined with Hypericum to create a fun and casual bouquet for a hostess gift, a birthday wish or a get well greeting.